Wildfires have been the focus this month. After a “firestorm” ripped through the valley on July 18, we lost power and all phone services for 8 days, taking us back to basic means. The devastation of our valley is mind boggling. Our home, farm and fields were not threatened like so many other places. 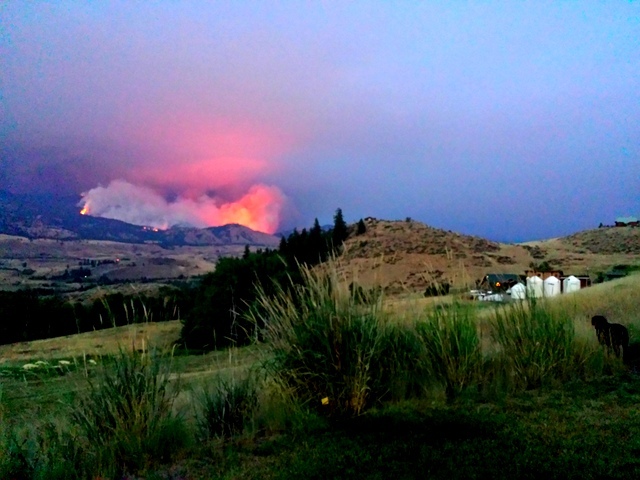 A couple hundred structures burned in our area ranging from Winthrop to Pateros. The landscape is singed in areas; the smoke roles on. If you would like more information about the Carlton Complex Fire view their facebook page. Many of you may have tried to contact us during this time. Our sincere apologies for no communication on our part. 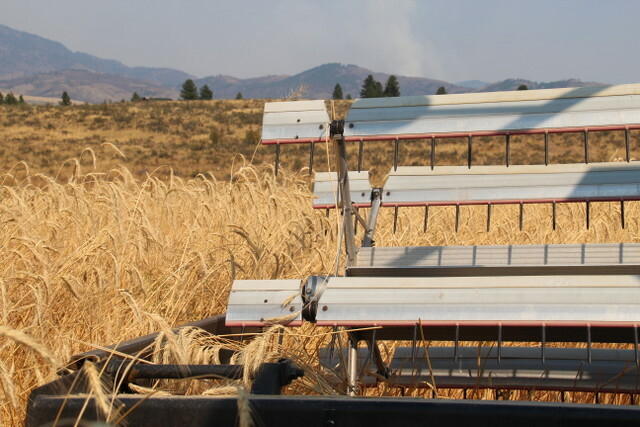 The only way you could have reached us is driving up to our front porch… the old fashion way; which Ara of Wildpatch Bread did. She showed up on my doorstep to pick up her flour and paid with hard cold cash. Which in turn bought our groceries for the remainder of the week, since we couldn’t use our debit cards or access any money from the bank! A big shout out goes to Okanogan County Electric Co-op and electrician, Tim Otonicar who helped us with generators, wires and power. These guys are working around the clock to restore power lines. Room One — A social service organization in Twisp. They plan to use funds strategically to help those they predict will be accessing their social and mental health services in the near future. Their website is: http://www.roomone.org/ and to donate online to Room One go to: https://npo.justgive.org/nonprofits/donate.jsp?ein=91-1906926 and specify Fire Relief Fund. The Salmon Safe farm to table dinner that was slated for August has now been cancelled due to the fires. On a positive note, we did get our Rye field harvested on July 30th!